Self-storage units are great for a variety of reasons, and we’re not just saying that because we’re a storage facility! Whether you are downsizing your house, starting your own business, or just looking for a space to store that extra equipment you only use a few times a year, a self-storage unit can come in handy. If you are a person who enjoys staying active throughout the year, or if you have kids who are involved in several extracurricular activities, you probably have a hefty collection of sports equipment taking up space in your garage, attic, or shed. With a self-storage unit, you can keep that equipment safe while also freeing up space in your house. In today’s Affordable Family Storage blog, our storage experts have a few tips to make the most out of your storage unit. Chances are high that if you are looking for a self-storage unit for your sports equipment, you probably have gear from several different sports. While it can be tempting to store like items together -- baseballs with golf balls, tennis rackets with baseball bats, and the like -- storing the equipment like that can actually lead to more frustration when you are looking for items for a specific sport. To make your life a bit easier when it comes time to gather your equipment, keep everything for each sport close together. A few clearly labeled containers can make the visit to your self-storage unit quick and easy when a specific sport season starts. Most sports seasons only come once a year. That means the equipment you plan to keep in your self-storage unit will be sitting in there for several months. If there’s dust, dirt, and debris on the equipment -- which is highly likely, given the nature of most sports -- you don’t want that to build up and possibly damage your equipment. As you are packing everything up, take a little extra time to wipe everything down to keep everything in the best shape. If you have equipment made of leather, like baseball gloves and certain types of basketballs, be sure to clean them correctly to ensure that you don’t damage the material. It can be rather annoying to come to your self-storage unit looking for your golf clubs or baseball bats and you find them strewn all over the ground because they somehow fell over when they were sitting in storage. Luckily, this annoyance can be avoided with a bit of forethought. If you have bulky and weirdly shaped items that could fall over, use shelves and support straps to keep everything in its place. If you have a lot of tall and skinny items, like fishing poles, consider investing in shelving units that are specifically designed to hold them. 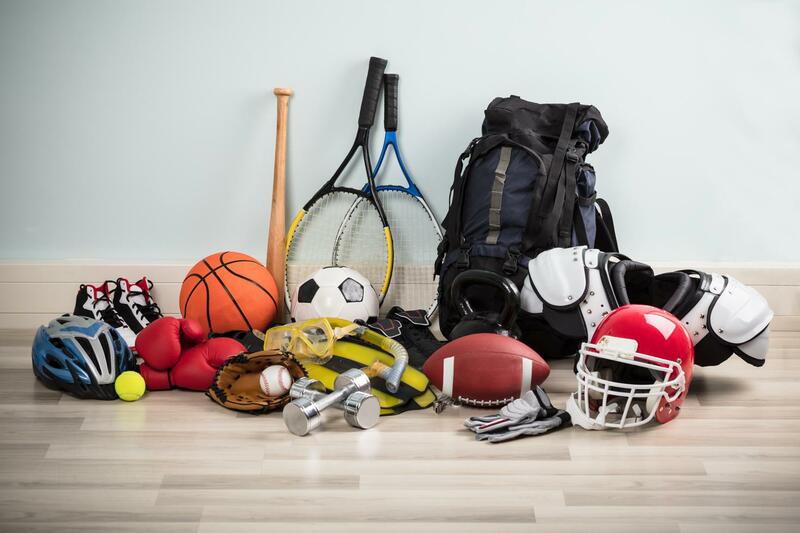 If you are looking for a storage unit for your extra sports equipment and you live in the Des Moines area, contact Affordable Family Storage today! We offer climate-controlled units in a variety of sizes so your equipment will be safe and secure. Reserve your storage unit in Des Moines online today.